On Sunday, August 11, 2013, my family and I began our now-yearly odyssey into the West. As I write this, our vacation is ending, and I’m typing this from the second floor of a rented house in the Rockies, looking across my laptop out the window at Mt. Ouray. In two days, our kids have pre-opening at their academy, back in Michigan, and the next morning I’ll attend the same for my job. I’m not quite ready to leave the glories of the American West, but, should I continue to care about a steady income and providing for my family, eastward I must return. Some of my very first posts at The Imaginative Conservative were written three years ago on such a trek. 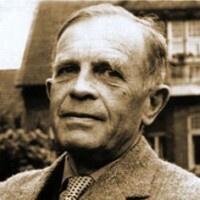 I can no longer embark on annual trips without thinking of The Imaginative Conservative and without considering editorial mastermind Winston Elliott’s birthday (August 13), a day that will be celebrated some day in the Republic of Texas and, if it still exists, the United States of America. A significant part of our yearly ritual and travel is my wife reading fiction to me as I drive. Dedra has one of the best reading voices I’ve ever encountered, and, as long as my children aren’t fighting with one another or with imaginary friends, I look forward to her reading almost as much as I look forward to the sites I’m about to encounter on our adventures. Dedra can read anything and read it well, but she most often gravitates either to the mysteries of Ralph McInerny and Sharon McCrumb or to the fiction of Willa Cather. We both have adored Cather since college. With The Imaginative Conservative’s beloved John Willson, I try to read Death Comes for the Archbishop at least once year. I think a solid case could be argued for considering this novel the “Great American Novel” if such a label needs to be employed. Cather’s West is what the American West should’ve been, rather than what it was. In Cather’s vision, the West is humane, challenging, and, ultimately, in the best Ciceronian sense, cosmopolitan. Looking back a century and a half, it would probably not have been wise to have bet on the success of Cather. Born in Virginia, her parents moved her to extreme south central Nebraska (only miles from the Kansas line and only about fifteen miles from the geographic center of the 48 states). Oldest of seven children, her parents homeschooled (or its past equivalent) Willa with their neighbors, raising her around German, Polish, Bohemian, Moravian, Swedish, and Russian immigrants. American Indians arrived in Red Cloud from time to time, as did Americans of African descent. All of this immigration and community with the treeless backdrop of the Great Plains fascinated Cather. Here, as a young woman, she experienced what most sociologists only imagine in their wildest dreams. While the various peoples and peopling of the land mattered to Cather, so too did the land. Then the Genius of the Divide, the great, free spirit which breathes across it, must have bent lower than it ever bent to a human will before. The history of every country begins in the heart of a man or a woman. So wrote Cather of her first great heroine, Alexandra, in O Pioneers!. 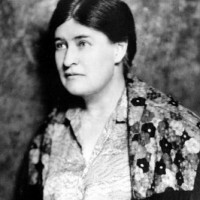 Graduating from the University of Nebraska in Lincoln in 1895, Cather went east to work as a muck-racking journalist. She gained considerable attention and fame at the notorious but popular McClures and she gave herself fulltime to her fiction in 1912. Her many works include: April Twilights (1903); Alexander’s Bridge (1912); O Pioneers! (1913); The Song of the Lark (1915); My Ántonia (1918); Youth and the Bright Medusa (1920); One of Ours (1922; for which she won the Pulitizer Prize); A Lost Lady (1923); The Professor’s House (1925); My Mortal Enemy (1926); Death Comes to the Archbishop (1927); Shadows on the Rock (1931); Obscure Destinies (1932); and Lucy Gayheart (1935). Sometime in the 1920s, Cather’s anti-progressive views became quite clear, and the left despised her. She died, horribly, in some literary obscurity, rescued only after her death. How can a German economist be called a Southerner? Obviously not geographically but in the important sense that Southern Agrarians came to understand, as a possession of the mind and spirit. That Wilhelm Roepke’s mind and spirit, embodying the best of the German tradition, share significantly in the essential features of the South­ern heritage is not too surprising when it is re­called that Southern culture itself was essentially European. In evidence of this there are some sugges­tive comparisons that can be made here. 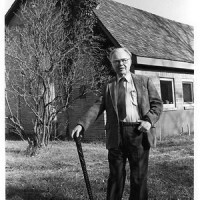 For example, Richard Weaver went home in spring to farm his ancestral fields with horse and plow and refused the use of airplanes, preferring trains for long distance travel. Similarly, Roepke promoted urban gardening for the health of city-dwellers and refused to use ski-lifts, preferring to ride up the mountain slopes on shank’s mare. Or one may refer to the Southern fondness for the books of Sir Walter Scott whose stories of Saxon yeomen fighting Norman invaders parallels those of William Tell fighting Austrian conquerors as eulo­gized in Schiller’s famous poem, admired by Roepke. Then one may conjecture about the influence of Germans and Lutherans on Southern life. Certainly, Luther himself was a social medievalist and agrarian and longed for the non-commercial life of an earlier time. To what extent this affected Southern life is arguable as is the effect of his Lutheran faith on Roepke’s outlook. But the parallels are thought-provoking.